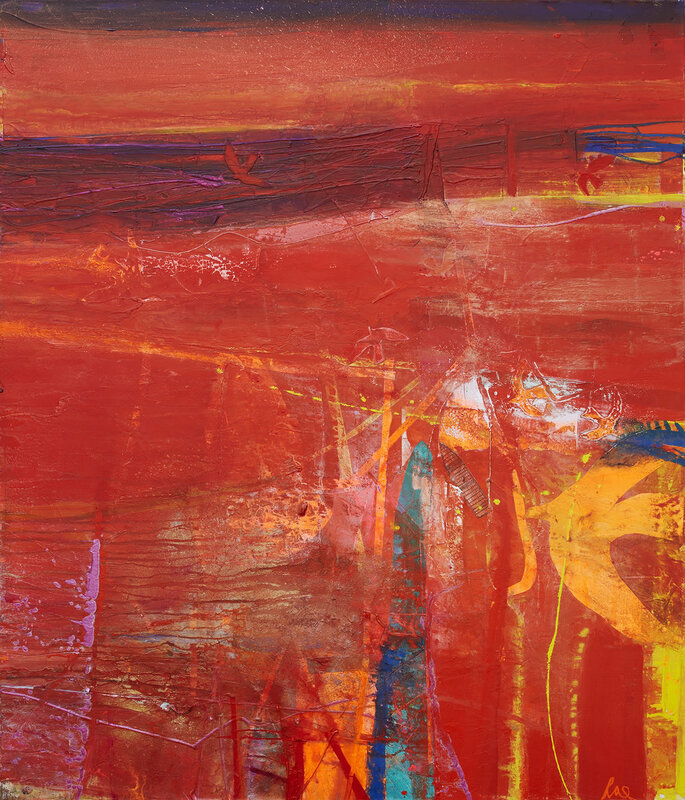 Above: Red Ceide, mixed media on canvas, 117 x 100 cm. There are a number of paintings Barbara Rae keeps in her own collection if buyers see none they want here. For information and prices please contact Gareth Wardell. Contrary to presumption, Barbara Rae does not use oils in her paintings. She works with acrylics and collage materials. Paintings can range from large canvases 5, 6 or 7 feet square, to middle range 2 x 3 feet wide on handmade Italian or Japanese paper, or small images no more than a foot square. Some are postcard-size. Unless stated, paintings are delivered framed, the valuation including the framing and VAT. Large works on canvas normally need no frame but can be framed if clients prefer. We are happy to offer framing advice, or for an additional amount, frame a work to required museum gallery standards, together with professional art courier delivery or shipping to your home or office most places in the United Kingdom. For more information please contact Gareth Wardell. Above: Winter Vine, mixed media on paper, 109 x 125 cm.